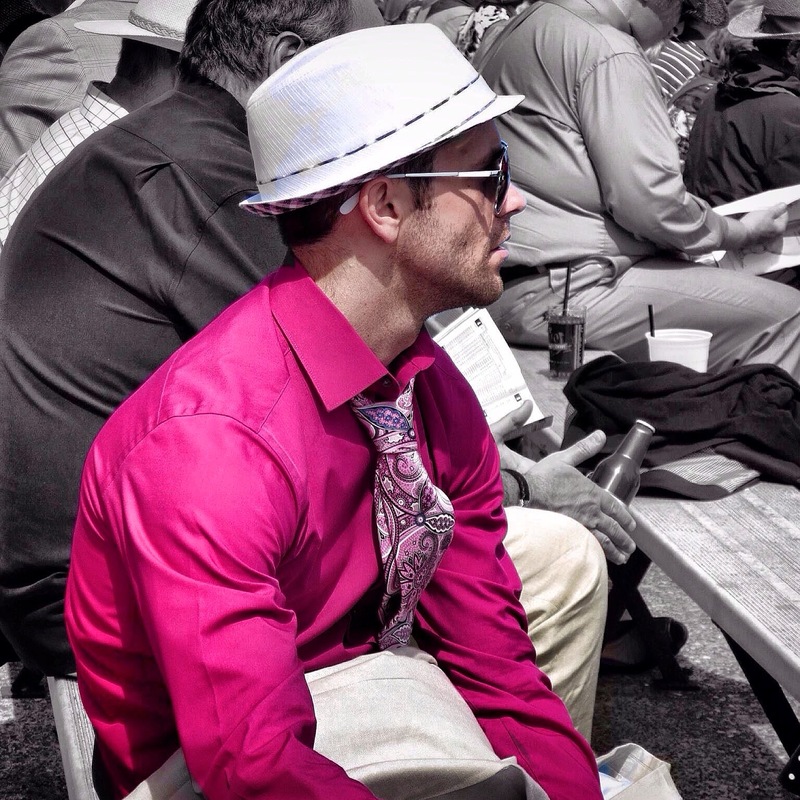 And yet, Kentucky Derby style is so much more. It's a visual feast unlike any other I've experienced, and even men who spend their days in Dockers and golf shirts are apt to don classic attire that's in many ways a throwback to a more genteel era. Lucky for me, Derby Day consists of several races with downtime between each that allows me the luxury of taking it all in. I'm a picture taking fool, sometimes surreptitiously capturing a moment, and sometimes boldy introducing myself and asking for the shot. 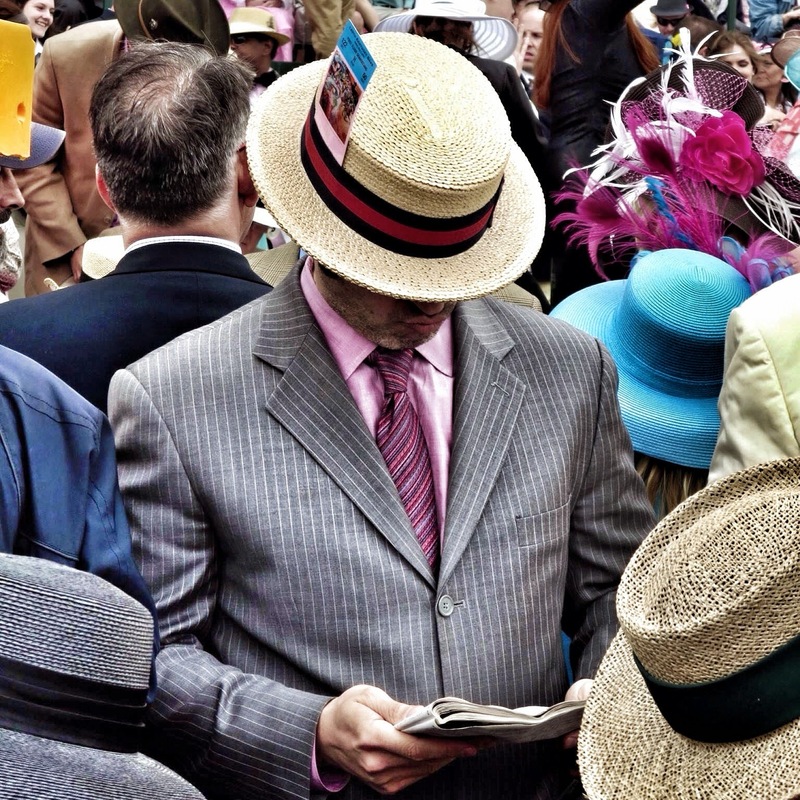 People are very accomodating on Derby Day - they've chosen their outfits with care and hold their heads high, proud to have their image recorded. 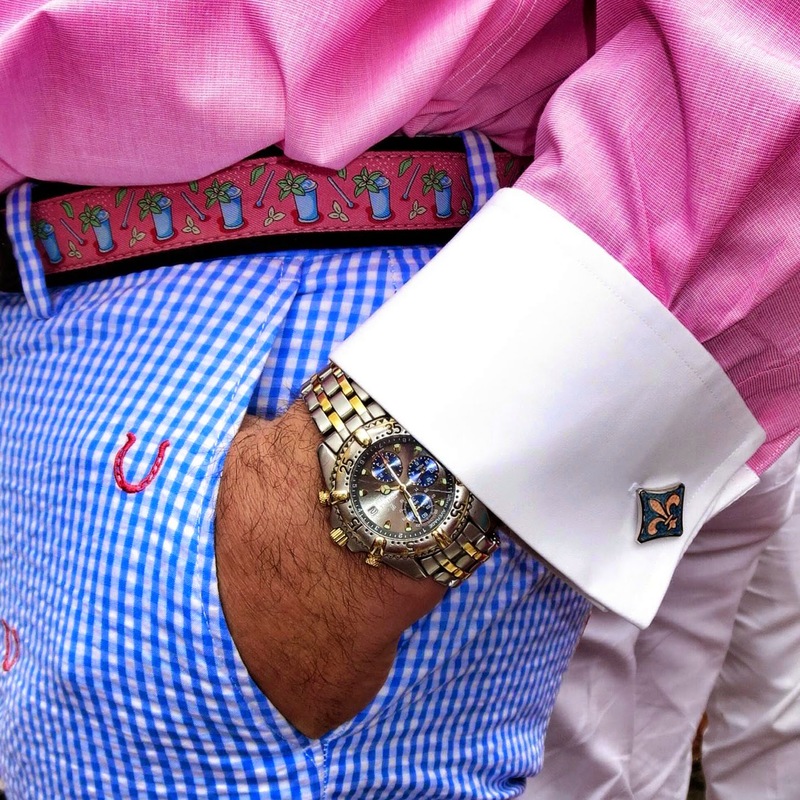 On Derby Day, no detail is overlooked, from belts featuring the iconic Mint Julep to seersucker in every shade and cufflinks with panache, style rules the day. And, while I'll be sticking to Spring sundresses and carefully embellished hats for my own Derby outing this year, I have borrowed a bit of the menswear style for my everyday life. The crisp brown and white spectators I'm wearing below are straight out of the men's shoe department at Nordstrom Rack! 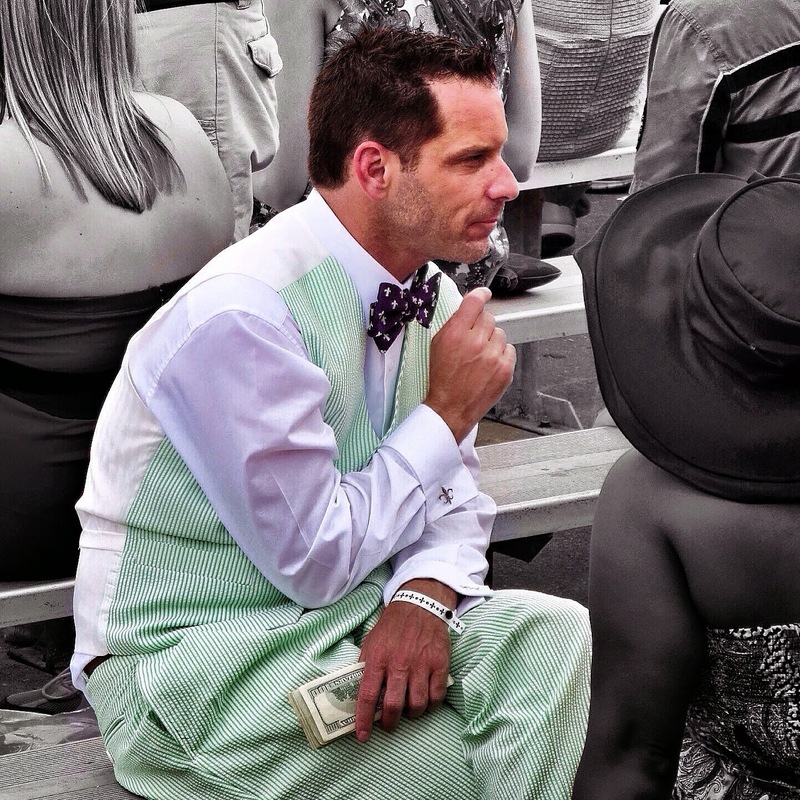 I've long loved spectators and own variations on the theme in myriad color combinations. This pair is my latest find, picked up in Chicago over Easter weekend. I can't believe it never occurred to me to shop the men's shoe department before! A men's size 6 was the perfect fit, and because not too many men wear the small size, the selection on the clearance rack was huge! I've also found that when it comes to spectators, the workmanship on men's shoes is often of higher quality. 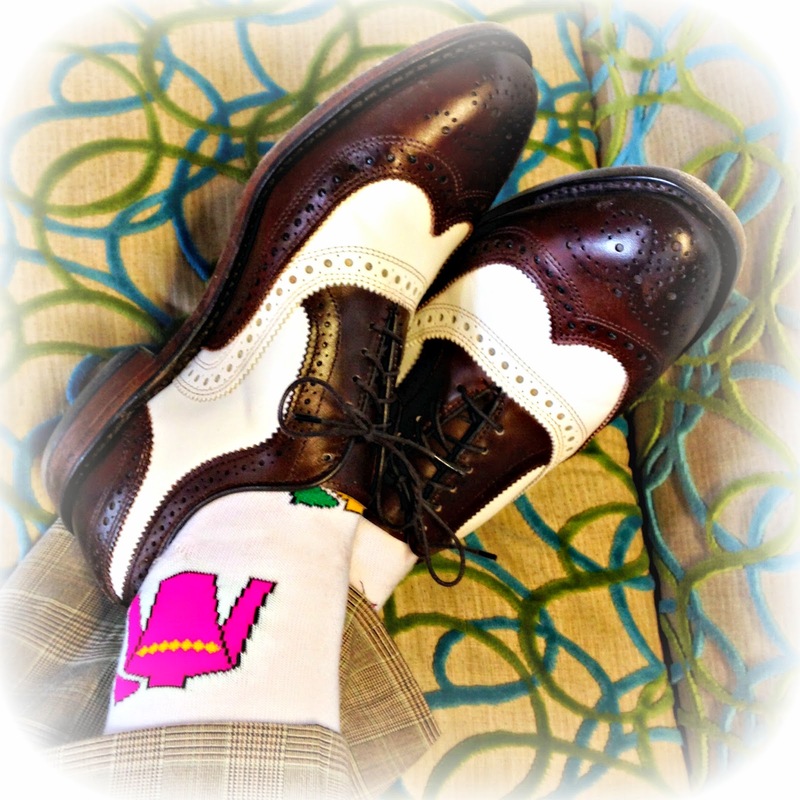 That's certainly true for this pair from Allen Edmonds. Even if I don't pick the winner of this year's Run for the Roses, it's a sure bet that this won't be the last time I seek out menswear gems for my own wardrobe!